The Microsoft Innovative Educator (MIE) status recognises educators who are using technology to pave the way for their peers for better learning and student outcomes. At Teesside University the Future Facing Learning Digital Development Programme is mapped to MIE allowing those who have completed the programme to gain their MIE status. This recognises educators who are beginning their journey with the use of Microsoft Office 365 and the Future Facing Learning toolkit in their teaching. As you design Microsoft tools into your teaching practice you can submit your self-nomination to become a MIE Expert. Start your journey by becoming a Microsoft Innovative Educator (MIE). MIEs use Microsoft tools in the classroom and have learned the fundamentals of some of these tools. This is the first step on a journey of joining a professional learning network of enthusiastic educators who come together to learn, share, and grow. This is an exclusive programme created to recognise educators using technology to pave the way for their peers for better learning and student outcomes. Currently there are approximately 270 people in the UK with Microsoft Innovate Educator Expert Status. As an MIE Expert at Teesside University you are demonstrating enhanced digital capability and innovative practice to support your students to be future-ready. MIE Experts can work exclusively with Microsoft to lead innovation in education. To advocate and share their thoughts about the effective use of technology in education with peers and policymakers, provide insight for Microsoft on new products and tools for education, and exchange best practices to promote innovation in teaching and learning. “Becoming a MIEE allows access to a global community of passionate educators that share their own good practice regularly through the MIEE Community. It is inspiring to see how others are using Microsoft products within their practice and has made me reflect on my own teaching practices”. 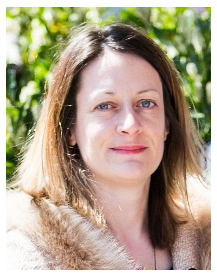 Dr Helen Tidy Principle Lecturer in School Science, Engineering and Design at Teesside University. you the Certified MIE badge. To redeem your points sign-in to the Microsoft Educator Community with your Teesside University Office 365 account. Joining the Microsoft Educator Community also gives you access to a range of Microsoft training, resources and community areas. 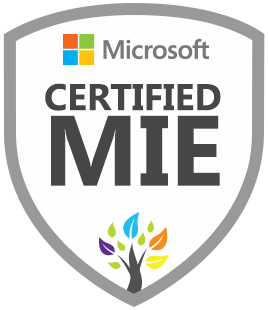 To become an MIE Expert, you must have joined the Microsoft Educator Community, become and earned your Certified MIE Badge. You are then eligible to submit a self-nomination presentation created with Sway on why you consider yourself to be an MIE Expert. As part of the Future Facing Learning Development programme you’ll be invited to attend a Sandpit event to discuss and develop your ideas and skills including how you are incorporating Microsoft technologies into the classroom. 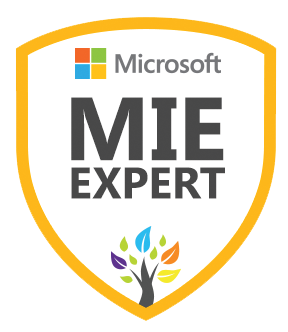 During the Sandpit we’ll work with you to submit your self-nomination to the MIE Expert programme. The Digital Learning Developers can also support you in gaining your MIE Expert through our bespoke coaching blocks. Before you submit please read the criteria for MIE Expert. Sign-into the MEC and ensure your MEC profile is public. Now you are ready to share your Sway self-nomination create a MIEE account and follow the instructions. Microsoft will issue your Certified MIEE badge once approved.